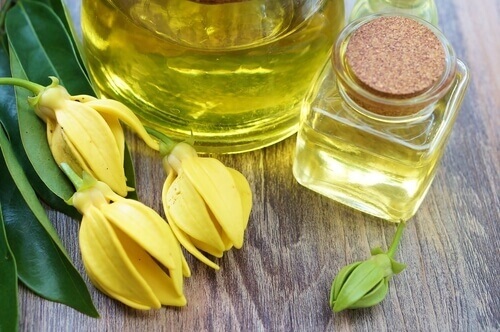 There’s no mistaking the overwhelmingly sweet and floral fragrance of Ylang Ylang essential oil, and its tropical aroma is even considered by some to be intoxicating. Ylang Ylang essential oil is a favorite among people who enjoy nice-smelling botanicals, but it’s more than just a room freshener. Studies show it offers many emotional and physical benefits that can improve our lives. 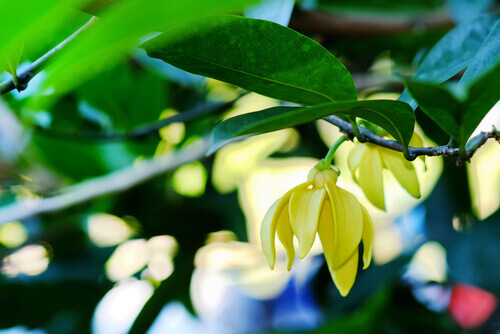 Ylang ylang uses span from helping hormonal systems, to improving the condition of skin and hair, to improving the mind-body connection. Ylang Ylang has been used for centuries as a perfume and in religious ceremonies for its rich scent and mood-lifting abilities. There is no shortage of beneficial uses of this wonderful essential oil, but these are four of our favorites. Try them out for yourself and find out why Ylang Ylang is considered the oil of the heart. When you combine a few drops of Ylang Ylang oil with Jojoba Carrier Oil, it makes a great hair and scalp treatment. Nothing is quite as relaxing as soaking away the stress of a long day with an incredible bath. Boost the benefits of your next bath by adding Ylang Ylang oil to invigorate your senses and increase feelings of relaxation. For the ultimate bathing experience, add Epsom salt to your bath water along with a drop or two of this essential oil diluted in a tablespoon of bubble bath. On an emotional level, a Ylang Ylang bath can help us focus on our heart and help us face past traumas while allowing us to connect to our inner sense of joy and appreciation. Not only will a Ylang Ylang bath smell amazing while opening up your heart, but it will also be just what you need to unwind, decompress and recharge after a busy day. A refreshing aromatherapy steam facial is always a good idea, and Ylang Ylang essential oil has the power to promote healthy, beautiful skin. Give your face a little TLC by adding a drop of Ylang Ylang oil to a bowl or sink of hot water and holding your face over it for a few minutes. The hot water will diffuse the oil into the air you breathe in, and the warmth from the steam will open the pores and release dirt and bacteria from your skin. Adding Ylang ylang will not only give your aromatherapy facial a sweet, floral scent but will aid in giving your skin a youthful glow. It is also known for its ability to help prevent the signs of aging and even help promote the development of healthy skin. If you struggle to see the bright side of life, using Ylang Ylang can help you take on a more optimistic perspective. It acts directly on the brain’s olfactory system and inhaling this essential oil can immediately promote feelings of positivity. Its ability to expand the heart can also help you let go of negative emotions like anger and jealousy. 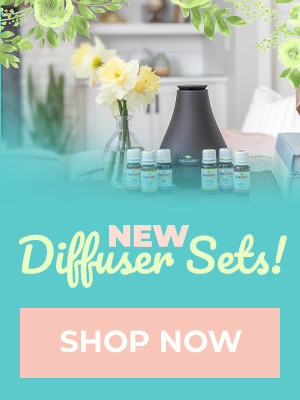 Simply inhale Ylang Ylang essential oil directly from the bottle or add a few drops to your favorite diffuser to fill your home with the rich tropical scents of the Ylang ylang flower. You’ll experience an instant calming effect that helps lift your mood and helps you have a brighter perspective on life. For a more profound impact, try massaging it into your skin to promote feelings of awareness, peace and self-love. Ylang Ylang essential oil packs impressive abilities to promote a positive mood and your overall outlook, while bringing beauty to your life on the inside and out. Have you tried Ylang Ylang essential oil lately? If so, what are your favorite ways to use it? I’ve been using ylang ylang in everything lately! I can’t wait to use it on my scalp! Thanks for the tip!! Hi there! Great post! I need to know if Ylang-Ylang can be used if I have low blood pressure?! Thank you! Cristina, ylan ylang is not recommended if you have low blood pressure. I’m just getting into essential oils. Can not wait to get some Ylang Ylang. My plan is to make a diffuser blend with it and a massage oil blend with it! Oh my goodness, I adore ylang ylang! I make a perfume blend with ylang ylang, bergamot and patchouli ( all Plant Therapy oils, of course!) that I named “joy” because it is just so wonderful and uplifting. I use ylang ylang extra, but now I will have to get a bottle of complete for sure! I love PT Ylang Ylang! I make a wonderful blend of Bergamot, Tangerine and Ylang Ylang. I add this blend to my body lotion. It is so relaxing and uplifting! I love ylang mixed with black pepper, bergamot and ho wood. Helps me relax and reduce stress. Ylang is such an amazing smell. Very feminine and floral. You don’t get that with many oils. I’m so glad I found out about the emotional effects of this oil, I just bought it and cannot wait to try using it for my husbands anxiety! Ashley, I think it would be something worth trying, so long as you are still diluting to no more than .8%. The recipe calls for adding it to a carrier oil to sit in the hair/scalp, so i’d be interested to see how it would turn out if it is washed out of the hair in a shampoo. Anxious to give this a try. I have Ylang Ylang extra, will it work the same? I use ylang ylang along with bergamot and cedarwood Atlas to scent my homemade laundry detergent–clothes smell so good when I bring them in from the line! WOW — that sounds like a beautiful blend! I think I may have to give that a try myself; thank you for sharing! Thank you for sharing, Tiana! So glad you loved your bath and we hope you love the steam facial! We’re so glad this post inspired you to try some new ideas with Ylang Ylang! After the day/ week I’ve had, I’m definitely going to take a bath tonight with ylang ylang! 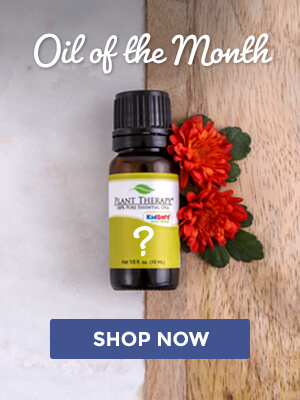 Thank you for an awesome idea with this amazing oil! Hope it was wonderful, Brandi! So glad we could help you learn a new way to use ylang ylang! I love ylang ylang with bergamot and grapefruit (or orange). It has always been uplifting to me. That sounds like a beautiful blend of oils, Jennifer! Thank you for sharing! Aromatherapy Steam Facial?!?!?! I cannot wait to try that, where has that been the whole time I have been learning and using oils, game changer! Thank you! We’re so happy your excited about it, Kathy!! Hope you love it! Thanks for sharing some fun ways to use this lovely EO! I love PT Ylang Ylang Complete! Thank you for your comment, Christina! We are so glad you love our Ylang Ylang Complete! 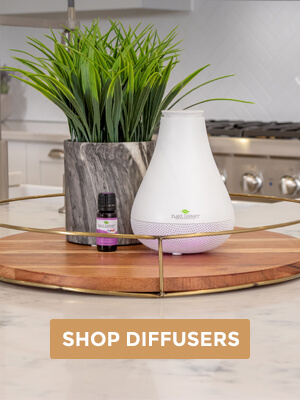 Not a huge fan of ylang ylang on its own (my daughter says it smells like baby wipes) LOL but I do love diffusing it with vetiver and lavender at night! It is very a very calming aroma to me when diffused this way! That’s great you’ve found out what works best for you, Laura! Thank you for sharing! Ylang ylang is one of my favorites. I am going to try the scalp treatment. Thanks for the idea!! You’re welcome, Donna! Hope it works out great for you! Ylang Ylang is such a great oil. I didn’t know about being able to use it on my hair. I’ll have to try that. One of the ways that I like to use it is by making a small herb or rice sachet and putting 1-2 drops of ylang ylang in it. Then I put it in the closet where the bath towels and bed sheets are. It leaves them with just a light scent on them. Thank you for this great post about ylang ylang. I love the smell of Ylang Ylang with Bergamot for an uplifting yet relaxing scent in my diffuser! That sounds wonderful, Dani! Thank you for sharing! Thank you for this blog. I just received my PT Ylang Ylang Complete and didn’t realise it was great for hair and scalp. Also, hadn’t heard of using it in a steam bowl. We. Will be trying both of those for sure! I just received my bottle of YY and I absolutely love. Sometimes I just open the bottle and take a whiff and it just makes me happy. Excited to use in my diffuser necklace. Definitely a beautiful fragrance. That’s great, Ashley! Thank you for sharing! I appreciate these ideas! I have some ylang ylang and haven’t been sure of the best ways to use it as it smells so sweet. I’ll look forward to trying the hair treatment and facial steam. I can’t wait to try some of these, especially the steam cleaning for face. I love the smell of ylang ylang and was needing more ways to use it! Thank you PT for all great info! You are so welcome, Misty! So glad you find this information valuable! Ylang Ylang is by far one of my favorite mood lifting oils. I use a drop in 10ml rollerball for depression, rub over my heart when it flutters, also just love smelling from an inhaler. I will have to try the hair treatment for a change from clary sage. Thank you!! Ylang ylang was not a favorite at first but I must admit it does make my hair a bit shinier when I add a drop or two to my hair oil. I typically just use one drop ylang ylang complete and one drop rosemary and one drop lemongrass to my oil TX then smooth in before bed. I love using Ylang Ylang! Mixing it with grapefruit, and then diffusing it is one of my favorite things. Definitely going to be adding it to a bath that’s such a good idea! Is there a difference between ylang ylang extra and ylang ylang complete therapeutically and in how they smell? I enjoy diffusing lavender, geranium, roman chamomile, clary sage, and ylang ylang together.